For over 30 years Hacketts have designed and engineered quality steel fabricated products that have become trusted industry standard. 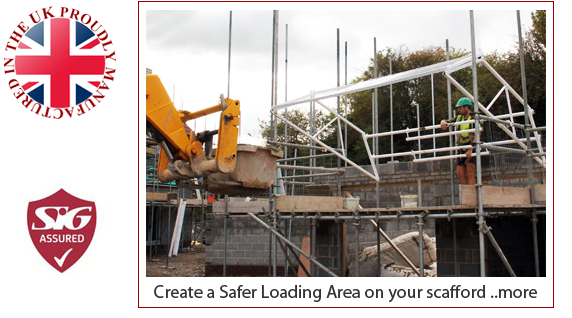 With a Steel Fabrication Facility in the West Midlands, Hacketts have helped scaffolders conform to Health & Safety regulations by providing quality engineered products that have created a safer working environment. As SIG Assured UK manufacturers Hacketts can vary the specification of their products to suit your specific application, including the finished colour from its in-house powder coating plant. 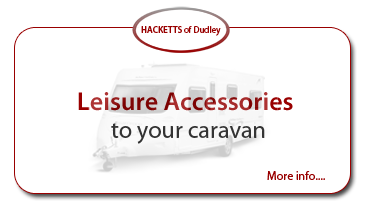 Hacketts products are manufactured to exacting quality standards, providing full traceability and confidence. 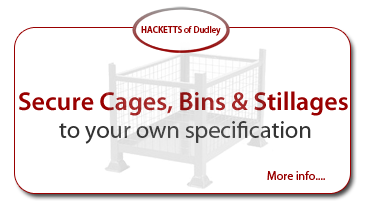 Hacketts also provide a bespoke steel fabrication facility. With considerable experience in providing specialist fabrications including security window grilles, perimeter crash barriers, ram raid posts and heavy duty security cabinets. For materials handling and storage a full portfolio of bins, stillages, storage tanks and gas bottle storage cages are also available. Optional corporate colours on all products. Bespoke specification variations to suit you. New products engineered to your requirements. Proven quality generating industry standard products. 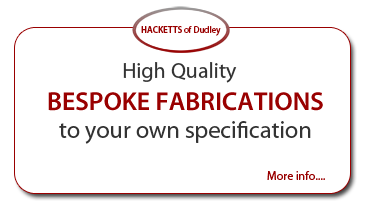 Hacketts Ltd of Dudley - Quality Construction Products - Providing a Professional Fabrication Service - Call 01384 240325.